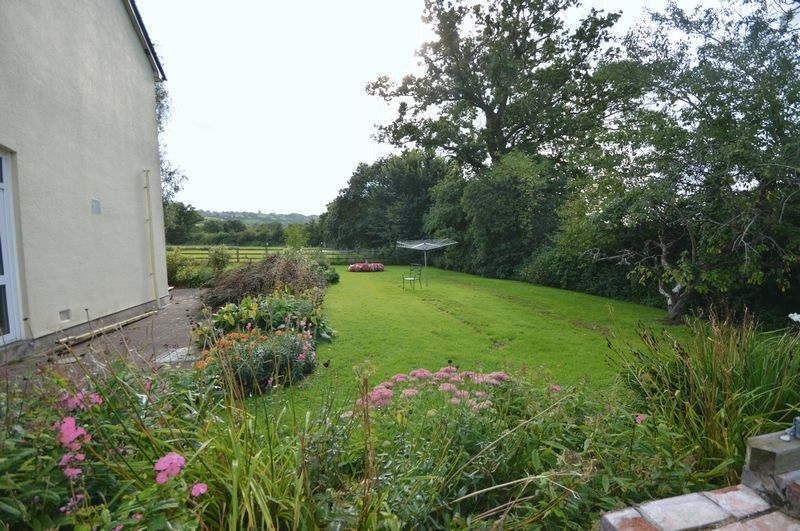 Greenacre Farm is in an idyllic position with superb views over the surrounding countryside towards Chew Valley Lake. 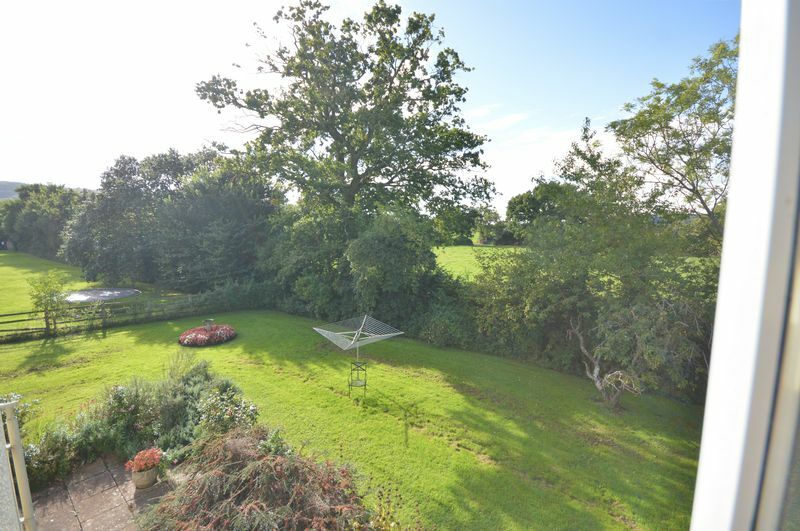 Not only does this location offer beautiful views it also offers a peaceful location on the edge of the popular village of Compton Martin. The property offers three double bedrooms with the added benefit of over four acres of land. The property had a large stable block which has lapsed planning permission for conversion. 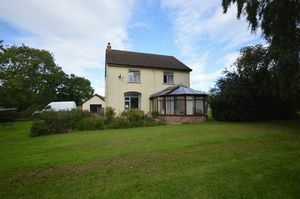 Greenacre Farm is in an idyllic position with superb views over the surrounding countryside towards Chew Valley Lake. 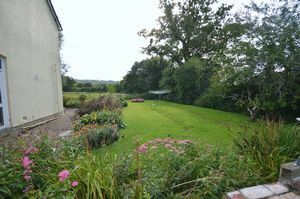 Not only does this location offer beautiful views it also offers a peaceful location on the edge of the popular village of Compton Martin. Upon arrival of the farm a long driveway leads to the farmhouse with paddocks either side. There is a large parking area in front of the house. The front door leads to the large open hallway with doors leading to the reception rooms. The Sitting/Dining room has a bay window overlooking the garden and views belong, also featuring a multi burner. This is a lovely light room which enjoys plenty of natural light. There are patio doors leading to the conservatory that looks over the rolling countryside hills. 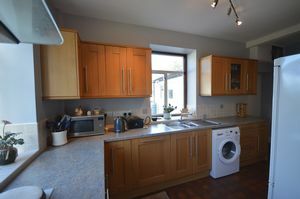 The kitchen is modern and light with terracotta tiles and a range of kitchen units and worktops. 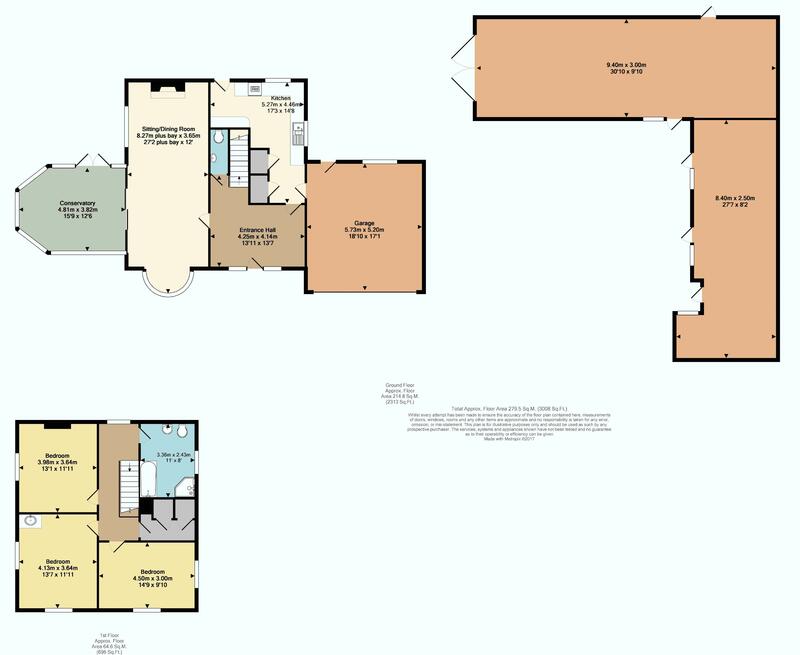 There is a door which leads to the back garden where there is a large lawned area and various flower beds that add to the beauty of this garden, there is also a door which takes you into the double garage. Completing the ground floor is a cloakroom. The staircase leads to the landing, on the right is a generous size family bathroom with shower. All the bedrooms are double bedrooms and two of these bedrooms benefit from wash basins. 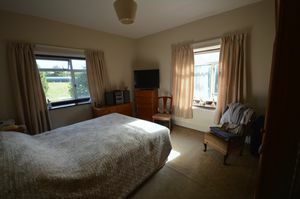 All the bedrooms have large windows again making the most of the views and light. 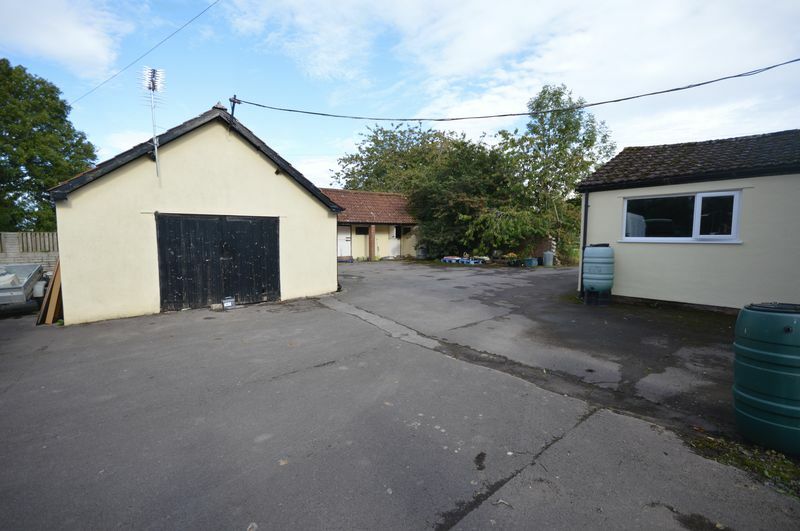 The property sits in approximately four acres this property has a stable block that could be easily converted into an annexe or workshop/home office (subject to planning permission) If you check the BANES website there is lapsed planning permission for the stable block. Compton Martin is a popular village in the heart of the Chew Valley and offers the facilities of a Parish church, popular public house, village hall and Post Office. The local primary school is in Ubley just over 1 mile away. Chew Magna, which is the main village in the Chew Valley and offers a wide range of local facilities, including a small supermarket, banks and shops, is just 6 miles away. 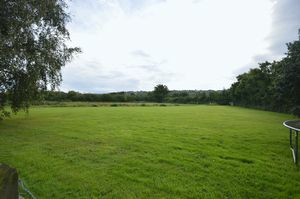 The village’s situation in the Chew Valley offers commuters excellent access to the regional centre of Bristol which is 10 miles to the north and the Heritage City of Bath which is 14 miles is to the east. The Cathedral City of Wells, which offers further facilities, is 9 miles to the south. The nearest motorway access can be found at junction 21 of the M5 in Weston Super Mare. The Chew Valley and Blagdon lakes are close by, notable for their fishing, birdlife, sailing and nature study amenities whilst the Mendip Hills, well known for their limestone features, provide a wide range of informal leisure opportunities. High speed rail services to London Paddington are available from Bristol Temple Meads (98 minutes) and Bath Spa (85 minutes) whilst Bristol International Airport is 15 minutes (7 miles) away. The nearby village of West Harptree Is a just over 1 mile away, with a Post Office, local shop, Doctors, beauticians and two pubs. Within the area, there is an abundance of excellent schools. The property is within the catchment of the highly rated Ubley Primary School and Chew Valley Secondary School (3 miles). A school bus runs to Chew Valley School from the village. From Bristol, head south on the A37. After approximately 6 miles, turn left onto the A368. Proceed through Bishop Sutton and West Harptree and continue to Compton Martin. 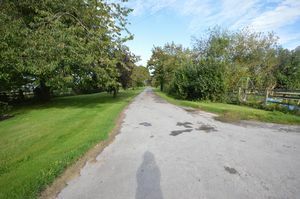 Upon entering the village take the turning on your right go past the Blue Bowl pub, carry on down that road and Greenacre Farm is on your left.